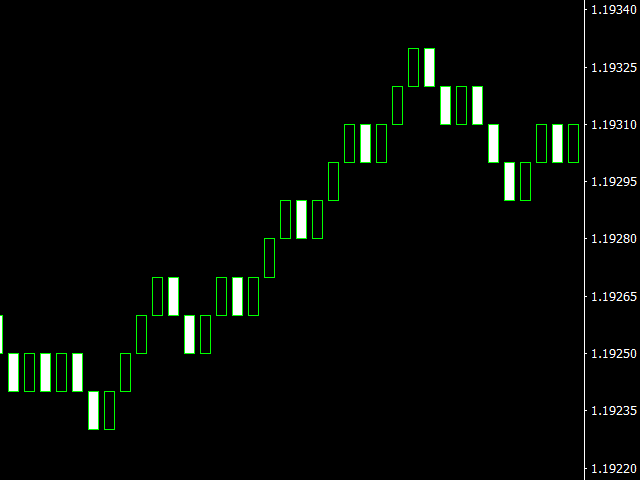 Renko charts can be created using this indicator with all bars being in the form of Renko "bricks". This type of chart is also called quantum (Quantum Chart) due to its special structure and the possibility of using it in quantum analysis. All bars on the Renko chart are of the same size and have no shadows since the shadows for this type of chart are of no value. The size of the bar can be set in the settings by changing the "Size" parameter value. You can add indicators, advisers and scripts to the resulting chart. You get the completely operational chart which can be processed just like a regular one. 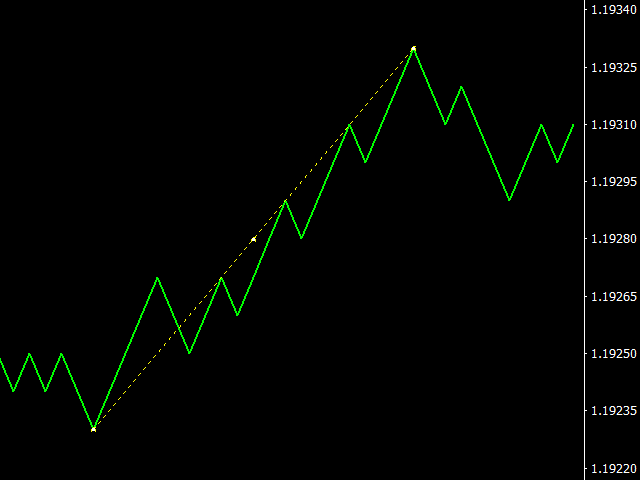 The "Renko Chart" indicator is not only history based, but also build online. At the same time the data is updated synchronously with the basic chart with no delays. 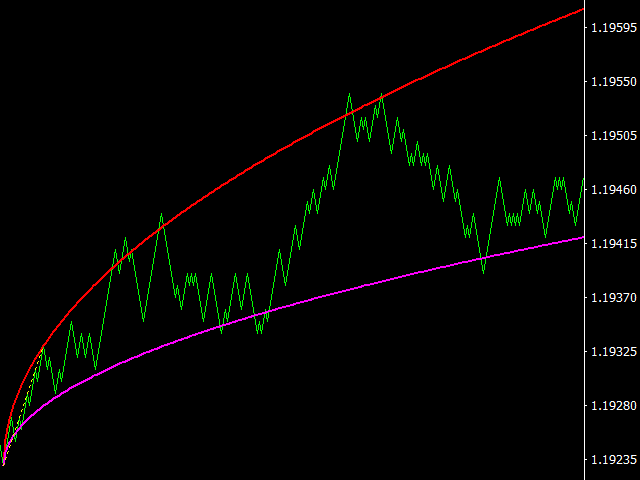 You can simultaneously create several Renko charts each with the required bar size. 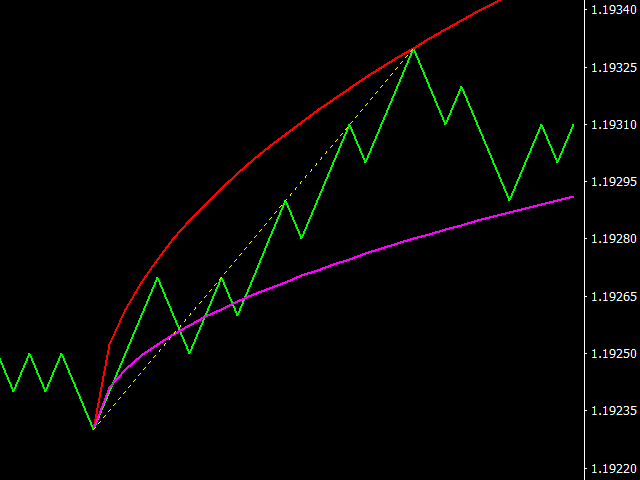 • File "Renko-Chart" put in\MQL4\Indicators terminal MT4. You can find the data folder () for each copy of MetaTrader 4 terminal on your computer via the terminal menu or in MetaEditor: File - Open Data Folder. • Open the "Navigator" window. • Drag the indicator of the desired currency pair (M1 timeframe or larger, depending on the "Size" parameter value) onto the chart. • Open the resulting chart by clicking the corresponding "Open Chart" button. 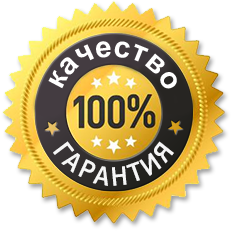 For your positive feedback about the purchased goods available gift certificate.